Bout of Books: Bout of Books 23 SIGN UP! 3. On August 20th, READ! Please note: To reduce confusion about where your sign-up link goes, comments have been closed on this post. 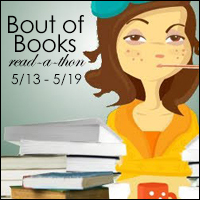 If you have a question, tweet us @boutofbooks or email us at boutofbooks [at] gmail [dot] com.